There have been lots of studies into what people do with their smart phone, and one of the more popular areas of research lies in what apps people open to check first in the morning. This research is fascinating because it gives a really core insight into the individual, and the nation at large. This one is no great surprise – it is the Worlds most popular website and its apps have taken it to an all new level. With over 1 billion active members, it is perhaps the ultimate example of the ‘sticky app’. It’s a sharing platform, but also an organiser to, where people arrange to meet friends, colleagues and increasingly, family. Facebook is so popular that it competes with Google for the right to be known as the internet to many. Perhaps unsurprisingly, considering folk are still in bed whilst checking many of these apps, the large volume of sleep apps feature heavily. Applications like sleep cycle – click here to read our sleep cycle review – are now super popular. They utilise your smart phones accelerometer to measure your movements whilst you sleep, giving you an indication of sleep quality and duration. In the morning you get greeted to a statistics page, which gives you the full lowdown on how well you slept. Twitter is another social media app that people feel compelled to check throughout the day. 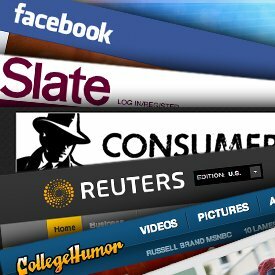 Twitter sees huge spikes in page load requests through its range of smart phone and tablet apps every morning, indicating its huge popularity as a source of news for many. Pinterest takes some ‘getting’ but when people do, they are hooked. It’s seen some bursts of huge growth, at one stage being the fastest growing social network in history. For those who are less familiar, Pinterest is the webs biggest pinboard where users ‘pin’ pictures, collect their thoughts, bookmark recipes and tips, or just generally go to get inspired. Its got a cult following in visual lead areas, including home design, fashion and cookery. For many, Pinterest features heavily in their morning app routine. RSS feeds are nothing new, in fact they’re so old that Google just sandboxed its reader. Pulse is a little different though, as it turns the RSS stories into a more readable magazine format, allowing users to quickly scroll through the latest stories. A great way for many to quickly get their news headlines in the morning. Sky sees a lot of usage all day every day, but it peaks in the mornings and evenings as people connect with family and friends. A quick chat, instant message or video call is the way that plenty of folk start their day it seems. A free way to make video calls is always going to be a recipe for a really sticky app. Flixster is a movie app, which makes it a strange app for any list of applications that are popular first thing in the morning. unsurprisingly though, its morning usage rates are far higher over the weekends, when people are taking it easy. Lazy Sunday morning movie anybody? Around me, as the name suggests helps you to find a wealth of local amenities in your local area. It’s a seriously sticky app, which is used multiple times a week by the majority of its core users. Much like Foursquare, it’s a great social way to discover new stuff in your local area or a god send for the traveller looking for quick convience on the go. Pocket lets you save pages to read them later. It’s a simple idea which is done really well by the team at Pocket. It’s another popular morning app as it allows you to check in on the important stuff that you saved to read previously but as of yet havent had chance to get through. eBay bargain hunters are prepared to snipe and be sniped 24/7, but many come to life in the mornings. Around 11 am is a popular time for e-commerce apps to see traffic spikes on weekdays, as people find a natural lull in their day as lunch approaches. eBay has had something of a second coming over the past year and a half, and remains a hugely popular web 1.0 service. Tube map is another popular morning app, as people look to plan their routes around the worlds great metropolitan cities. These apps are so useful, that it’s really hard to remember how we used to get by without them. Pop open the app, punch in your to and from destinations and the best route is calculated in seconds. A true godsend for the tired morning commuter. The BBC service continues to gain in popularity, which has been helped by the fine range of smart phone apps that the corporation have put out. The news app is one of them, providing an intelligent and fast layout, users are able to quickly take in the days biggest stories. Clever aggregation of content, such as the daily football gossip column keep people coming back for more. The atomic web browser is perhaps the most popular cookie-less web browser, meaning it dumps all of your session history when you exit the application. This has plenty of potential applications, with one being gift buying (we’ll leave the rest to your imagination, especially in the morning…). There are two versions available, a free version called atomic browser lite and an upgraded paid all which carries a richer array of features. For many, the radio is the perfect background track to their morning. With access to over 50,000 radio stations, this one app has rendered the DAB radio as obsolete. It has the capability to be used as an alarm clock too, making it the perfect early morning radio app. The popular photo sharing app has recently had videos added to it, making it a much more multi-purpose app. With great user engagement and retention, many find this is the perfect way to start your day. Users utilise the hashtag in order to tag their pictures, and many use it to share filtered photos and other inspiring pieces of photography. TED is the clever persons app, featuring some inspirational talks by some fo the worlds leading authorities across a he range of topics. The short nature of the talks – most are less than 20 minutes, makes the content consumable in short chunks of time, such as the morning. A great way to start the day with some inspiration. Amazon has taken the e-commerce world by storm, meaning that you only really need eBay and Amazon apps to have all of your shopping covered. Amazon, like its early internet colleague eBay sees a rush of traffic around the mid morning. With its simple one-click purchase allied against its huge range of shopping verticals, Amazon is able to attract shoppers all day, everyday. From groceries to DVDs with nearly everything in between, Amazon is the modern-day definition of a one-stop shop. Like Pulse, Flipboard does a great job of adding life to an RSS feed or a social media account. Whilst not nearly as good on the iPhone as iPad (where it is simply supreme), Flipboard turns news stories into a beautiful digital magazine. YouTube is officially the worlds second biggest search engine, sitting just behind its parent company Google. With its vast array of both professional video content and user-generated, its increasingly the source of a whole array of video related content. Whether your after instructions or a funny video, YouTube has your base covered. In the smart phone age, we’re never very far from our email. In fact for many, we’re always to close to it. So much so, the Gmail app pops up amongst the most popular early morning apps. The simple app is the easiest way to access the most popular free email service. Naturally, the native email apps on iOS and Android see plenty of morning attention too. So that’s our list of the 21 apps that you must check every morning. Feel free to share any that you think we have missed in the comments, and we’ll keep the list updated throughout the rest of 2013. Next articleDoes this mean that the iPhone will soon be finished?